What a lovely but sad story. How wonderful that she has recovered and has seen another birthday. Your angel has done well. very wise of you to avoid falling in the dam! That is SO not what Ness wants to happen especially on her birthday. Its a great thing, this blooming for her day. I'd like to wish her every happiness and blessing in her life. You too, Chez, love and blessings to you both! Love this story. Heartbreaking & heartwarming! Tears of sadness & tears of joy! Happy Birthday Ness! Love from your friend in Texas. Chez,Jezz knows where to be.Bloom for the right reason.Glad Ness is happy and can see all the signs that Jezz sends her.Happy Birthday Ness. Beautiful, poignant story, Chez. I loved reading it. I responded to your comment on my blog regarding that bra shop in Chicago. It might be worth e-mailing them to see if they know of any in Australia. Chez, I always hunt for your posts and enjoy reading them. I believe in Angels and Butterflies and I know they helped me. Beautiful! It made me cry. Diane, Ness is beautiful and I feel honoured to have her in my life. Jezz certainly knows what he is doing. Thanks Starry. It was fear of what Haydn would say that actually stopped me in my tracks. Also my camera is too expensive to allow it to be destroyed that way. Ness went to the U2 concert and loved it. Ness will probably check this out and receive the birthday wishes. Thanks Beth. I was absolutely devastated to learn that Ness was diagnosed with Breast Cancer at just 33. Anyway, it is now behind her and she can look forward to a bright future. Thanks also for the info; certainly seems to be just what is needed. StonePost it is sort of like believing in magic. Perfect for kids our age. My friend has dragonflies in her life. She was with me when we bought the lotus plant. 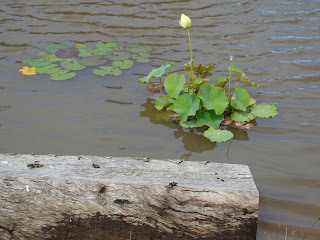 We had a magenta dragonfly following us and it led us to the Angel Wings Lotus. Magically! Julie how sweet. Thankfully, it is a story with a happy ending. I really loved this post. I think its my favorite one of yours I have read so far. How comforting to know how much of an impact Jezz had on this young woman's life. He must have been an amazing son, taking after his mother no doubt! Thank you for your kind words Nancy. Actually, I would have to say it was the other way around. Jezz taught me to love unconditionally which brings joy to living.